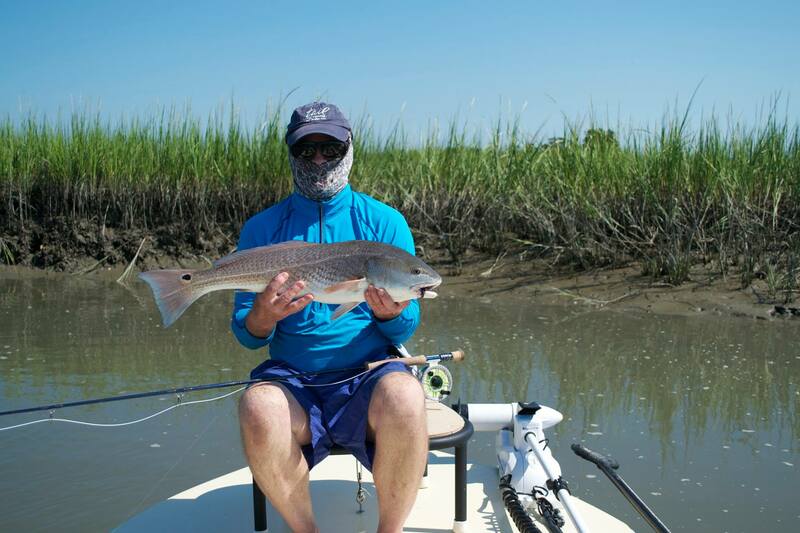 Fishing around the nearshore waters of Pawleys Island has been fantastic! 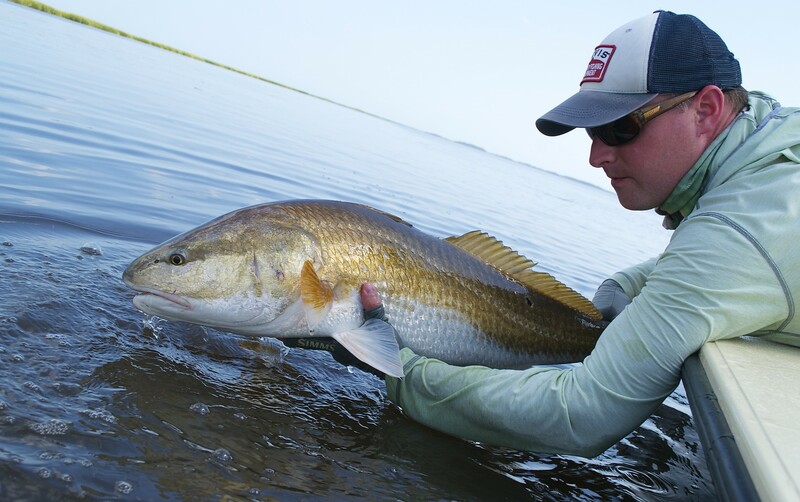 The cooling water temperatures, coupled with an abundance of bait has the fall bite in full swing. 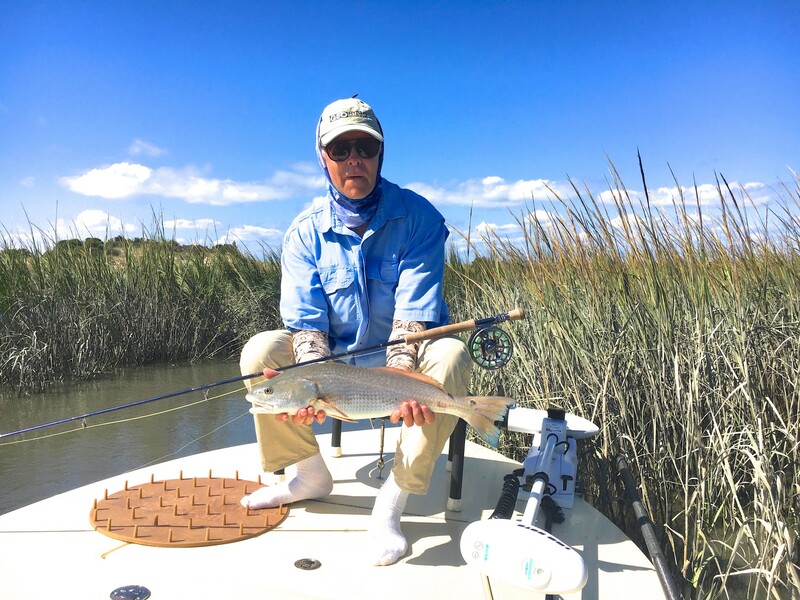 Whether fly fishing or spin casting, fall offers up plenty of angling opportunities when fishing the Pawleys Island area. 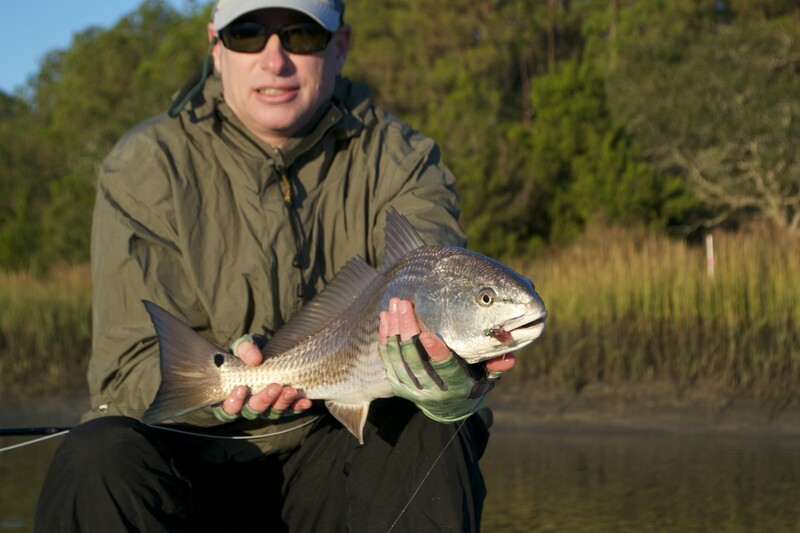 Large ocean run Bull Drum are plentiful in the inlets and on the shallow bars and under baits schools. 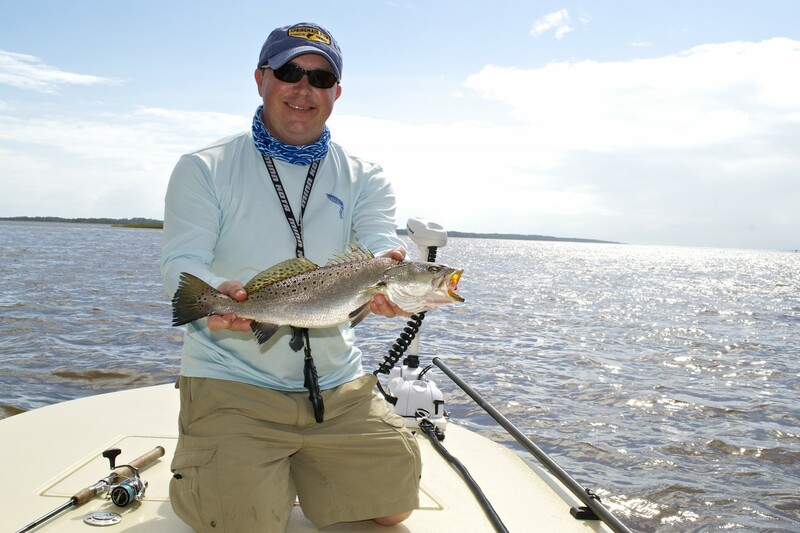 Speckled Sea Trout will be gorging themselves on full grown shrimp. 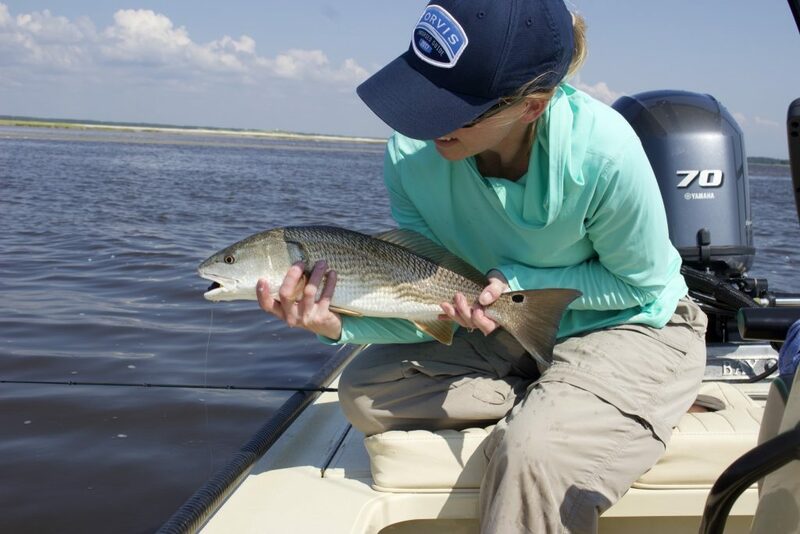 Juvenile Redfish will be schooling up, feeding in the shallows. 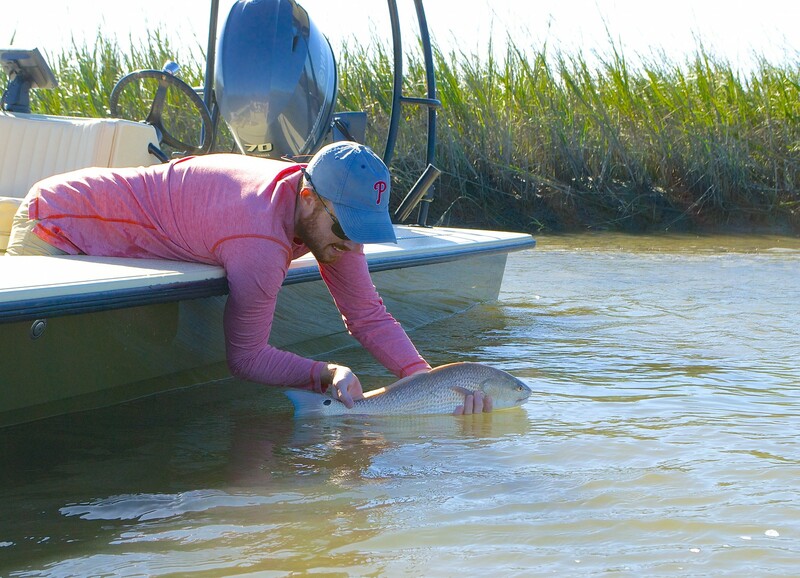 We have had some great flood tides and the Redfish have been tailing in the spartina. 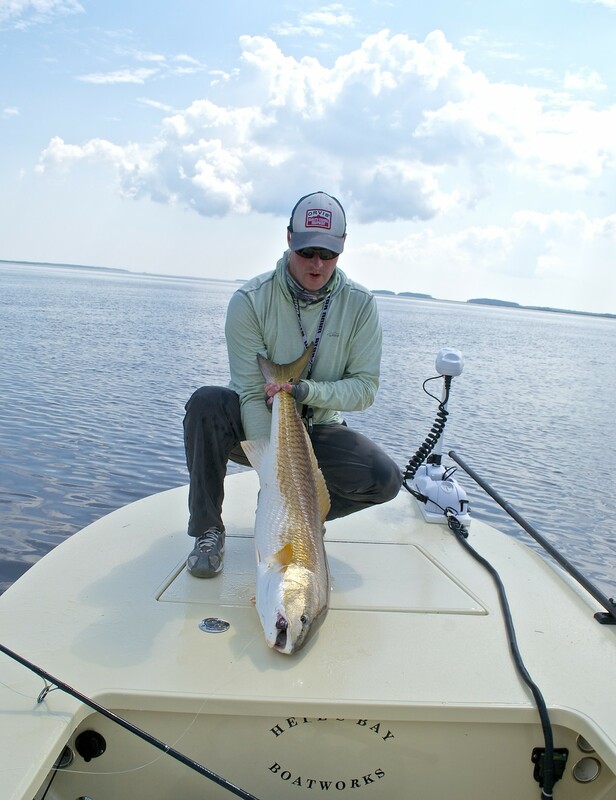 The fall is when we see our Redfish get incredibly shallow. 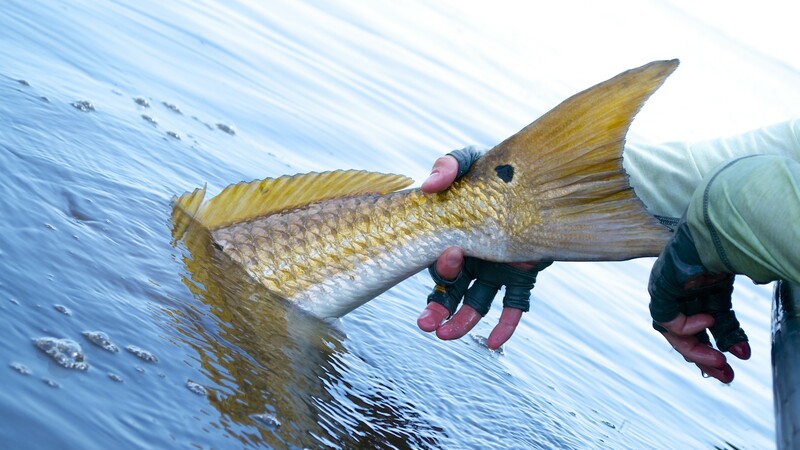 In many cases, they are in just inches of water with there backs out of the water. This is where my boat of choice, The Hells Bay Professional really shines, drafting just 4″ inches of water. This boat has allowed me and my clients to access the shallow waters I have only dreamed about. 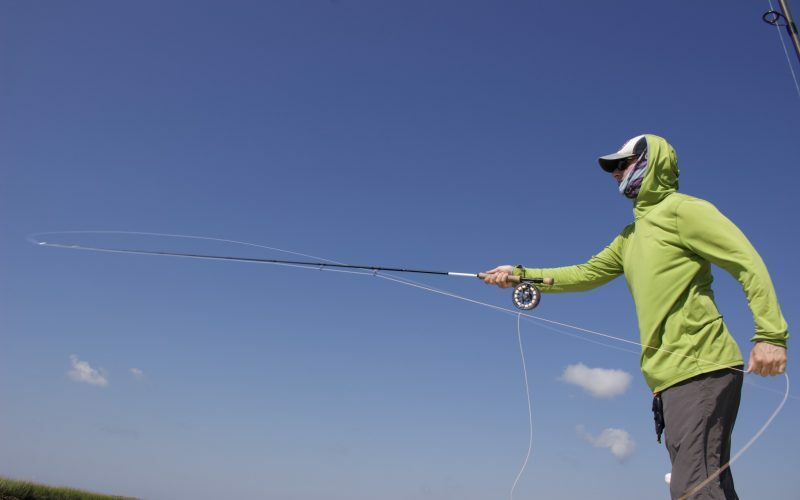 As the days get shorter and the temperatures drop sportsmen begin taking to the field. 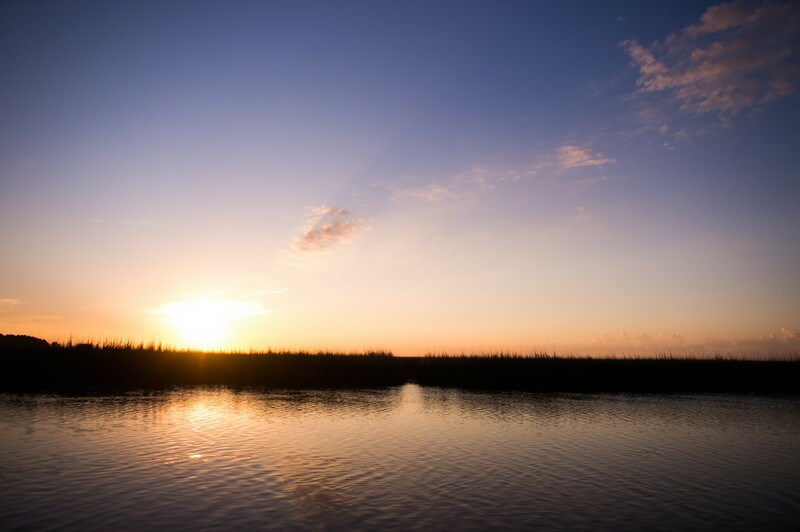 Deer and Dove Hunting season begins in September leaving our marshes less crowded and pressured. 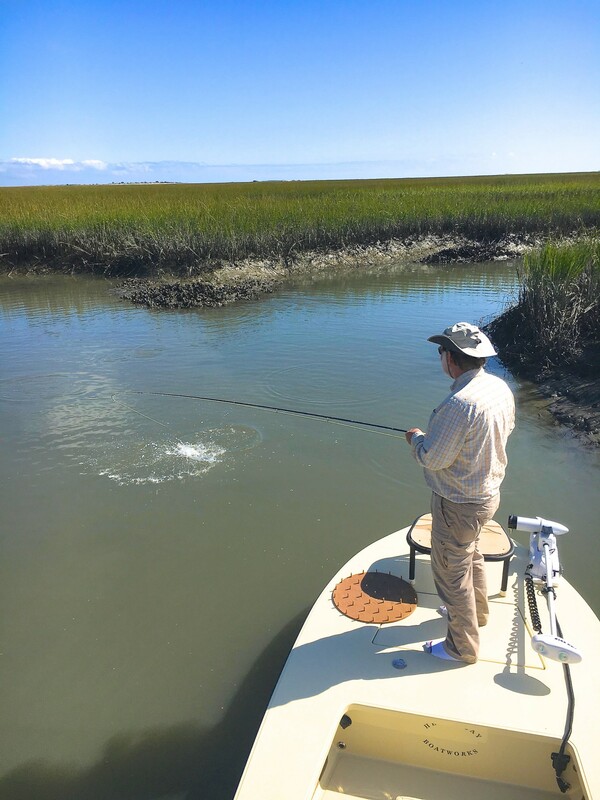 Whatever your pursuit this fall I hope you get out and enjoy all the South Carolina Low Country has to offer.